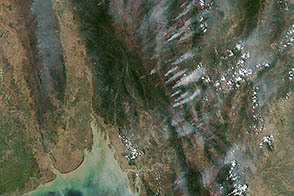 In March 2012, a thick pall of smoke and haze stemming from widespread agricultural and forest fires blanketed northern Thailand and parts of Laos and Burma. The haze pushed concentrations of airborne particulate matter to levels considered unsafe, disrupted service at Lampang airport, and prompted calls for action from leading Thai politicians. 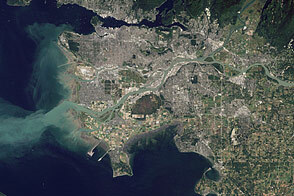 The Moderate Resolution Imaging Spectroradiometer (MODIS) on NASA’s Terra satellite captured this (top) natural-color image on March 4, 2012. 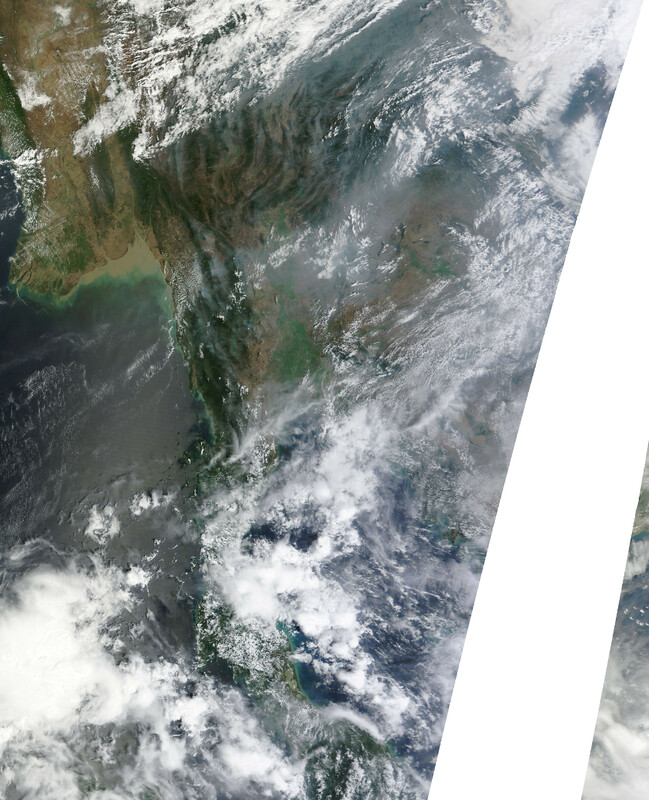 It shows smoke across much of northern Thailand and a large band of pollution across central Thailand. 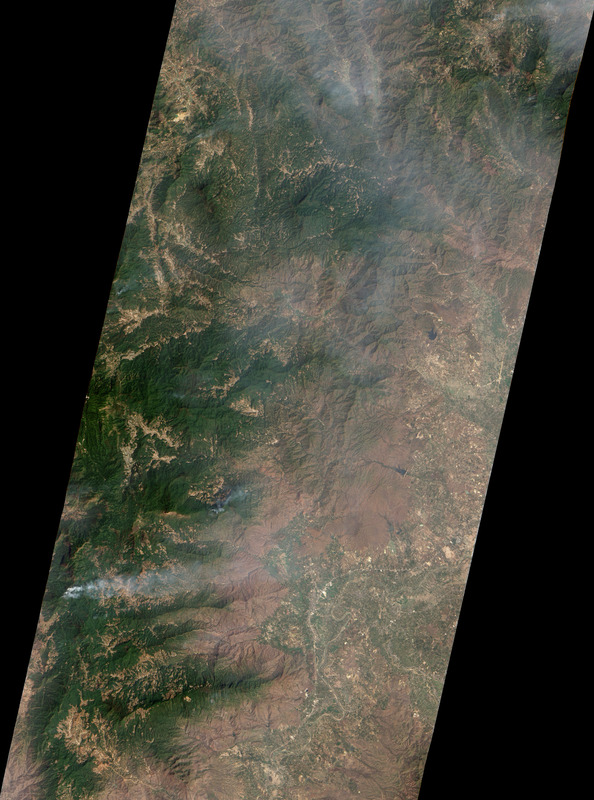 On the same day, another instrument with a narrower swath and a higher resolution—the Advanced Land Imager (ALI) on NASA's Earth Observing 1 (EO-1) satellite—captured a closer view (bottom) of one of the many fires burning in the region. 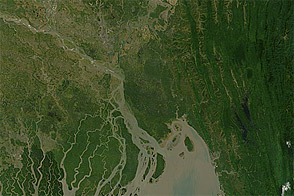 Late winter and early spring are the dry season in Southeast Asia, where the climate is typically dominated by rainy and dry phases of the monsoon. During the dry season, fires of many kinds are common, including intentional fires—to clear crop residues, stimulate new growth of pasture, or clear forests—and accidental (escaped) wildfires. The Thai provinces of Chiang Rai, Chiang Mai, Lamphun, Lampang, Mae Hong Son, Nan, Phrae, Phayao, and Tak were some of the hardest hit in March, with many seeing particulate levels more than twice as high as the 120 micrograms per cubic meter standard that's considered safe. In mid-March, the situation improved somewhat due to a heavy rain storm on March 11th and 12th. 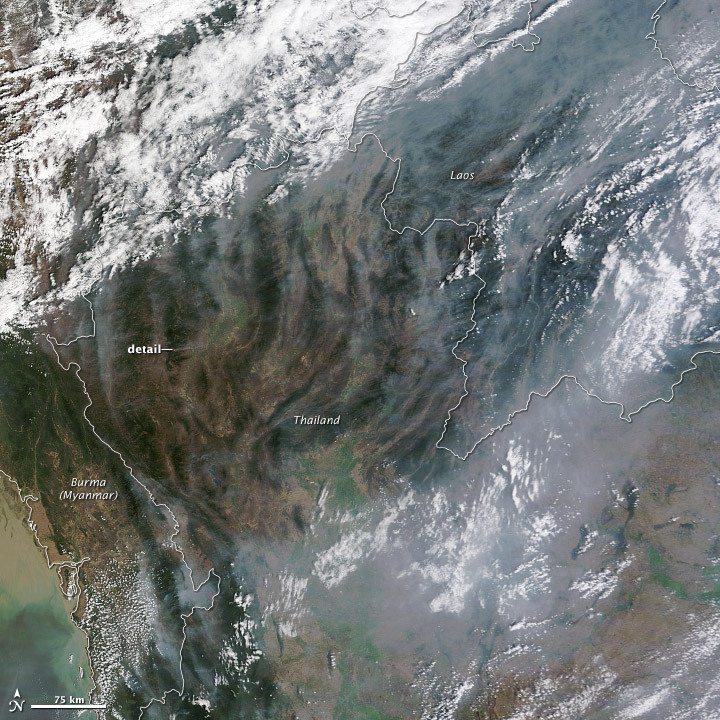 Nonetheless, on March 15th MODIS showed that a large number of fires were still burning in the region. NASA Earth Observatory image created by Jesse Allen and Robert Simmon, using EO-1 ALI data provided courtesy of the NASA EO-1 team. Caption by Adam Voiland. 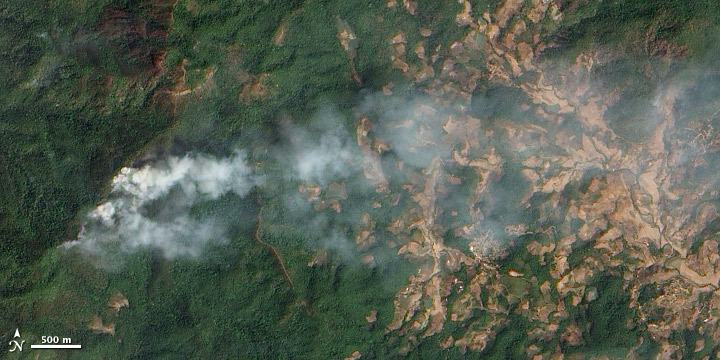 Agricultural and forest fires fueled unsafe levels of air pollution in Thailand. Bangkok Post. (2012, March 3) Haze Problem Hits New High. Accessed March 14, 2012. Bangkok Post. (2012, February 28) Premier Orders Urgent Action to Tackle Haze in North. Accessed March 14, 2012. Asia One. (2012, March 12) Rain Clears All Areas But Upper North. Accessed March 14, 2012. Thai Forest Control Fire Division. Causes. Accessed March 14, 2008.